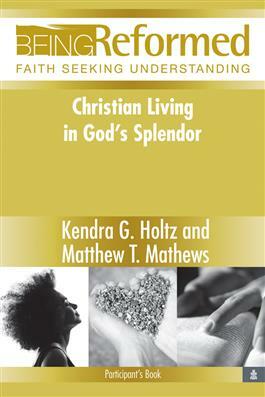 Introducing key themes in Reformed understandings of Christian life, this study explores how Christian life can be shaped by our religious affections--participating in a worshiping community, accepting our physicalness, dying and rising with Christ, and engaging in vocations that embrace the total web of our relationships. Being Reformed: Faith Seeking Understanding is a series of biblically based mini-courses that provides adults with a foundational understanding of the Reformed faith. Each six-session study--written by well-known and respected scholars--features Scripture, prayer, in-depth commentary, and questions for reflection. Each study addresses its subject from a Reformed theological perspective. Lessons are enhnced through the Leader's Guide, which offers helpful suggestions and direction for group study. The main structure for these guides is the rubric Head, Heart, and Hands.